I've always claimed to be a huge ramen lover and especially a fan of Santouka. But then I realised, over the countless times I've visited the branch at Cuppage Terrace, I've never done a review on them! 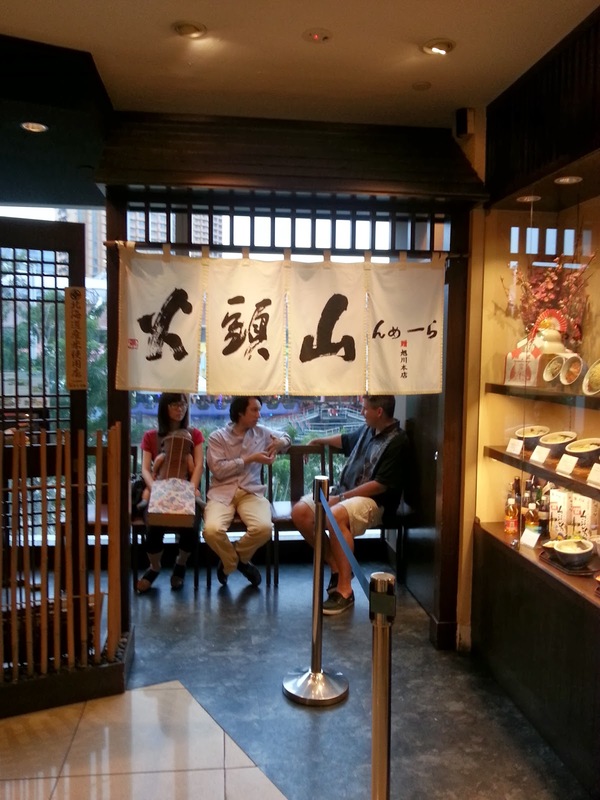 So now's my really late review on Santouka, The Central branch. Even though it looks horribly oily and fiery red, fret not! 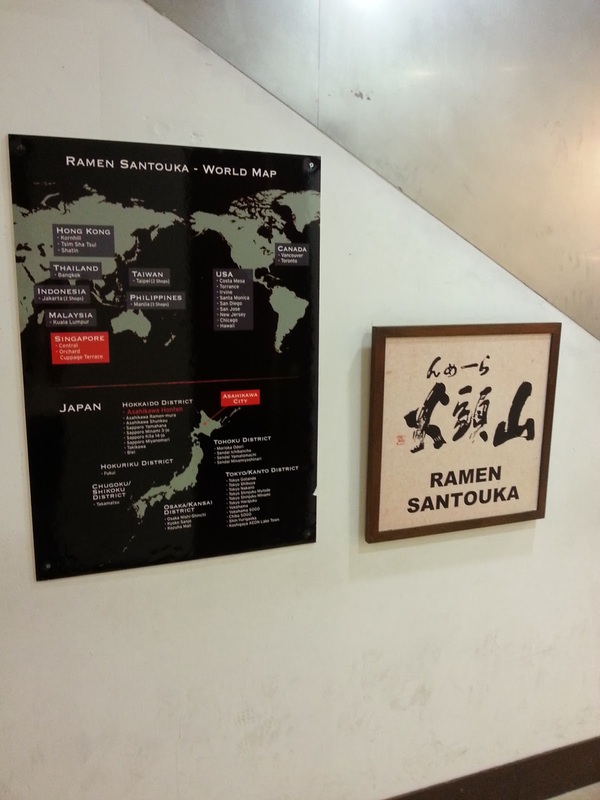 In comparison to many other ramen places, Santouka is considered one of the lighter taste ramen I've tried (which includes Tampopo, Marutama, Ippudo and Keisuke). The noodles are more to the soft, chewy side (I know some will prefer harder noodles, but not me) and their broth flavourful yet not overpowering. If you're a fan of strong taste (like Ippudo), you'll probably not like Santouka as I've friends who love Ippudo commenting that Santouka is too bland. IMO, Ippudo is just too much for me, and Santouka is just right. 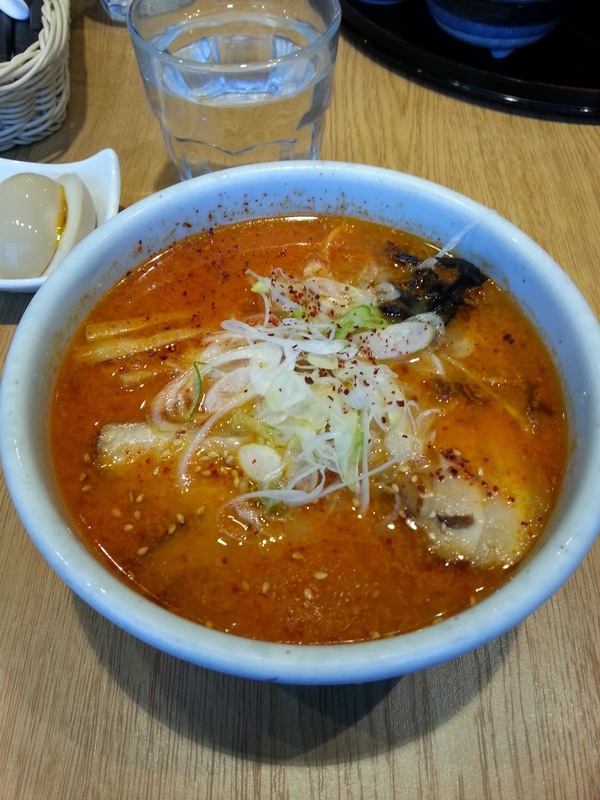 For their Kara Miso, the spiciness is just nice too! For an average spicy-eater like me, I can easily finish up the entire bowl of ramen without reaching for the water. The charsiu is also mildly flavourful and extremely tender, having a good mix of lean and fatty meat. It simply breaks apart at the first bite and the fatty portion just melts into your mouth as you chew on the lean meat. Although their ramen does come with bamboo shoots, I've decided to add on more, on top of the usual flavoured egg I'll order. Yes, Santouka's ramen do not come with flavoured egg, you got to add on an order for it. But it'll definitely be worth your money! Just look at that glistering sheen of their runny yolk peeking out from the cut. However, I'll recommend that you give their bamboo shoot a miss. 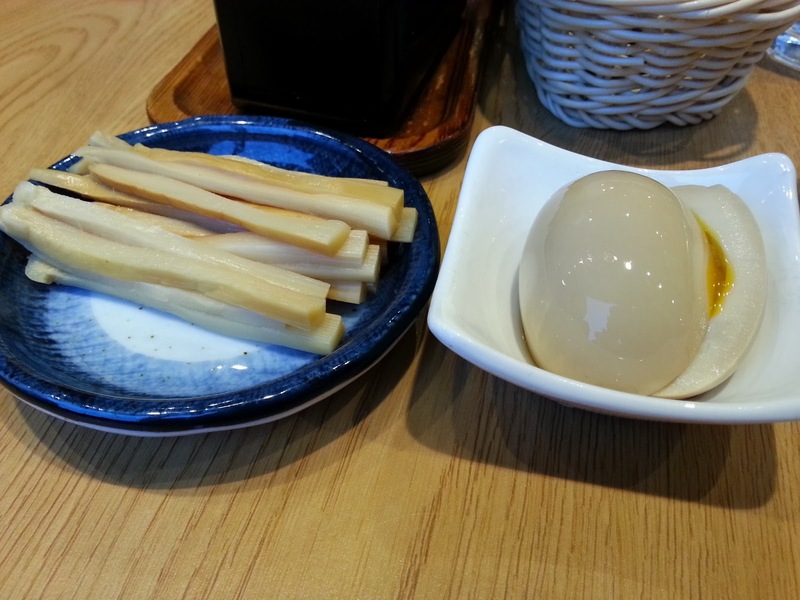 This is the first time I've add on an order of bamboo shoot at Santouka, with the memory of those brilliantly tasty ones I've had at Daruma, and I was totally disappointed. 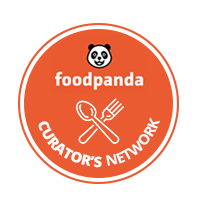 Their bamboo shoots were served cold and utterly tasteless, with inconsistent tenderness/toughness in every piece. Not even worth a place in my tummy, much less to speak of the money. 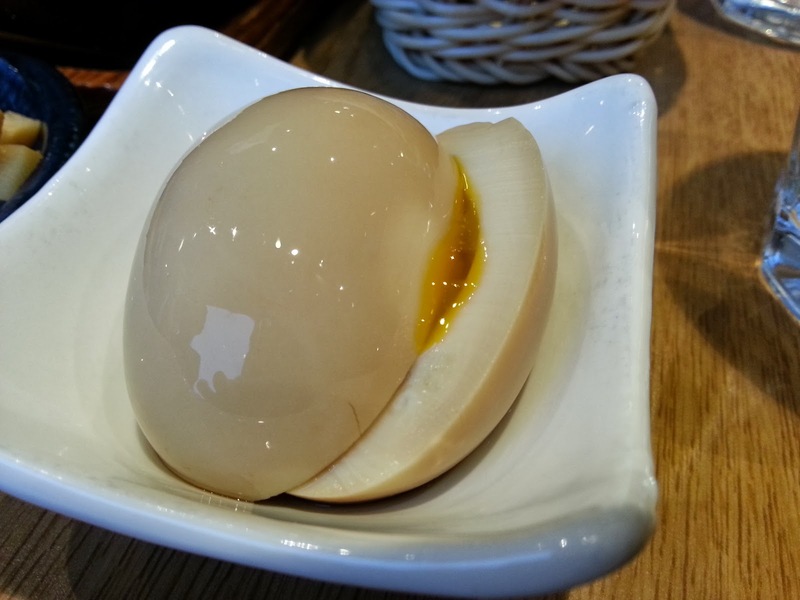 Just showing off the pretty flavoured egg. Their yolk, as i've said, is runny throughout with a pretty orangy yellow colour, and their whites thoroughly (yet soft) cooked. Very well done indeed! I'll say their gyoza is pretty mediocre, with the filling just being okay (almost not flavourful enough for me) and their skin thin, yet lacking the bite. Plus, we were recommended the more expensive black pork gyoza, which its taste really didn't justify the extra money spent. 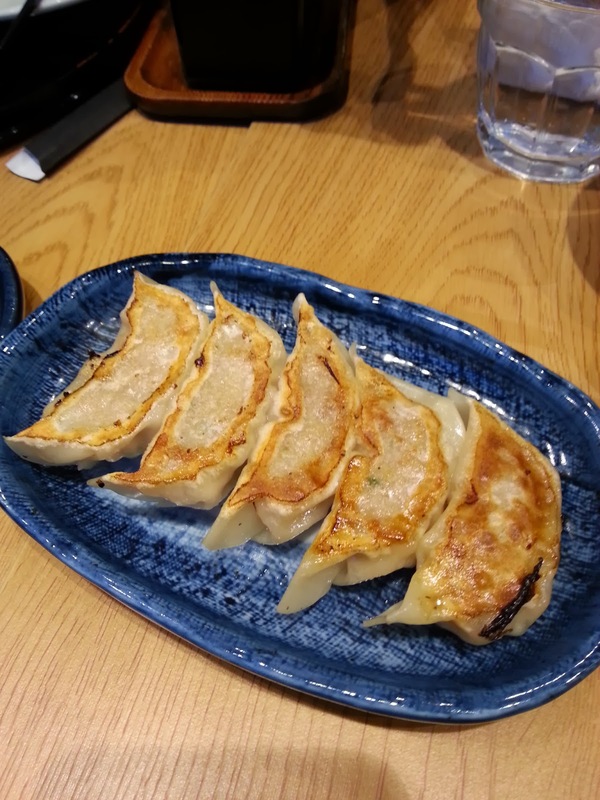 Even if they're actually handmade in the restaurant, a good brand of frozen gyoza could have easily tasted the same. The egg looks so yummy! Wish there was a photo of the inside to show the yolk though. Ehehehe.